Do you know that Indonesia have complete variety species of fish and coral than anywhere else on earth? In addition, there are more than 13.000 islands in Indonesia as choices with their own uniqueness. With this fun fact, Indonesia is indeed a paradise for local and International divers. They often see angelfish, lionfish, sea turtles, sharks, octopus, and other splendid sea creatures. 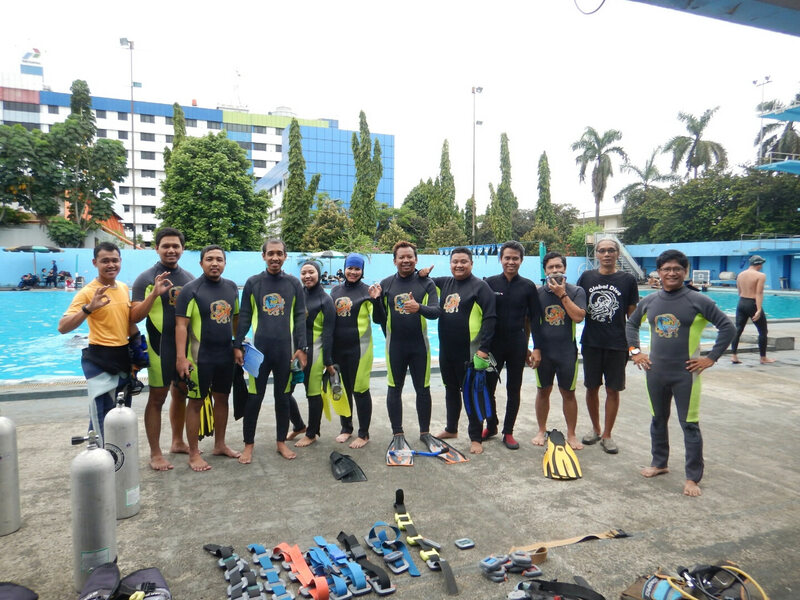 If you are interested in diving in Indonesia but you are a newbie, we will share the solution with pleasure: getting your first diving lesson! Before we start, there is a scuba discovery dive that is worth to try as an introduction dive for a starter. It is more expensive than regular dive because you will get the whole outline about diving. For instance, you will learn how the equipment works and how to use it, how to breath underwater, the hand signals, and so on. The most important part is it will teach you how to handle unexpected things underwater like when the regulator stops working and similar problems. It is quite important to have a dive license as a consideration, especially if you are a beginner. 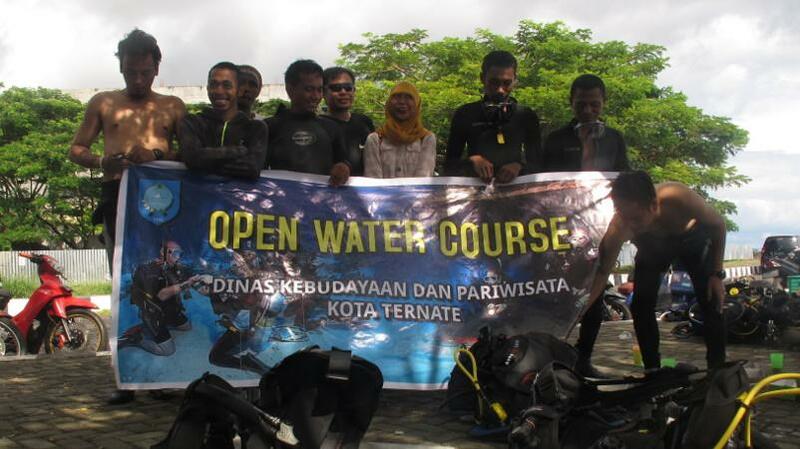 By having a dive license, you will learn about underwater from A to Z and have a safe diving of course. Indonesia have plenty of official diving organizations that are trusted and provide scuba discovery dive training to help the beginners. 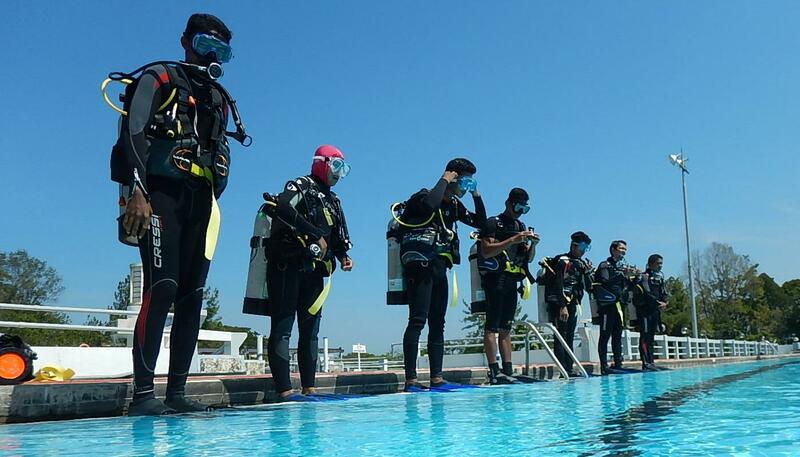 Some of the famous organizations are PADI (Professional Association of Diving Instructors), NAUI (National Association of Underwater Instructors), and SSI (Scuba Schools International). They are all competent with the same good qualities and have professional dive center. After a scuba discovery dive training, you can directly take the dive license there. Don’t forget to recheck the dive license to avoid the fake one. For several tips, it is better to prepare your dive trip after you got your diving license. This must be useful to get you experienced diving by your own without the instructor and it can develop your diving skills. It is very unfortunate if you wasted such a lot money and time to get the license without using it. You should also buy the basic gears like mask, a pointer, boots, and a dive computer just in case for safety. For the best period, dive at least every once in 4 months, to keep your ability to remain smooth under the sea. After sharing our tips and knowledge, we hopefully this will increase your enthusiasm to learn to dive. So, are you ready to become an expert and experienced diver in this wondrous country? We’re looking forward from you! Must be a person whoa are not a thallasophobia (underwater phobia) and if you are not able to swim you have to pratice. It´s not about swim like a pro, as long as you comfortable without any panicking and enjoy to swim so you can follow the next step. Make sure the condition of your body healty. We suggest to concul to the doctor to make sure there is nothing in your body that can harm you when doing the training. If you are interested, please contact our partners below. And be ready to your diving journey ahead. Contact Global Diving Indonesia! Chat with us for special deals..
Offer dive courses for you who want to dive in Ternate. This dive center are developing for enthusiatic and conserve the sea for our next generation. Contact Dodoku Diving Center! Chat with us for special deals..